The natural beauty of Pelling is suffice to attract tourists. An ideal hill town for laid back vacations with waterfalls, trek routes and tranquil aura around. 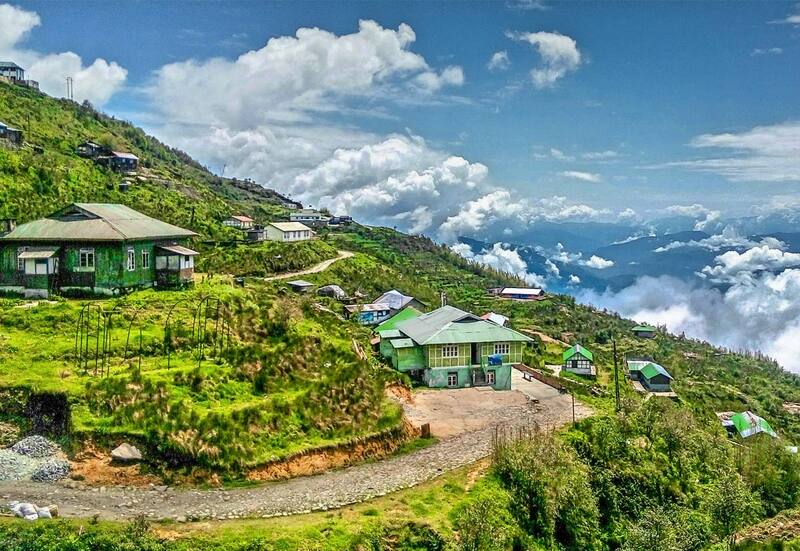 Pelling, the scenic hill station of Sikkim is located 2,085 meters above the sea level. Pelling is known for offering splendid views of the snow-clad Khangchendzonga mountains. Located much above the hills covered by forests, these rocky hills are covered by clouds and snow. The history, natural beauty and traditional culture of the place pulls holiday makers here. Apart from the magnificent views of the Guardian Deity of Sikkim, Mount Khangchendzonga, Pelling offers beautiful views of other sister mountains as well. It is the nearest place to Mt. Kanchanjunga. Pelling makes an ideal place for tourists to spend holidays with several waterfalls, easy trek routes, tranquil atmosphere and villages in and around. Slowly and gradually, it is occupying a great place in the itinerary of tourists coming to Sikkim. This hill station is famous for its history and culture. Words would not be enough to describe the beauty of Pelling. In fact, one must see it to believe how wonderful it is. Pelling is located near Siliguri and Gangtok, so you can any time flock to Pelling from the cities. You can easily travel from these cities to Pelling by tourists cars, tourists mini coaches and taxis. There are several mesmerizing tourist destinations located near Pelling. Sanga-Choeling Monastry is an important attraction in Pelling. Also visit Pemayangtse Monastery and Khechepalri lake. Located only 10 km from Pelli, the Sangay Waterfall is a great place to visit. Stand on the bridge and make the most of your visit to the waterfall by splashing its water on your face, touching its cool water with hands and shooting it with your camera. With time Pelling is developing into a town. However, its beauty is not disturbed by urbanisation. Accommodation is not at all a problem in Pelling. Ranging from luxury to budget hotels, Siliguri offers all. Modern facilities coupled with hospitality, you will get both. Hotel terraces and attractive walks nearby form the best sources to gaze in awe at Mount Khangchendzonga and its surroundings. Pelling is very cold in winters and very pleasant in summers. So the best time to visit the town is from February-May and September- December. Bagdogra Airport is the nearest airport from Pelling. Trains are available from either New Jalpaiguri or Siliguri. Pelling is linked with with Siliguri, Kalimpong, Gangtok etc, through weather metaled roads.